KANSAS CITY, Mo. 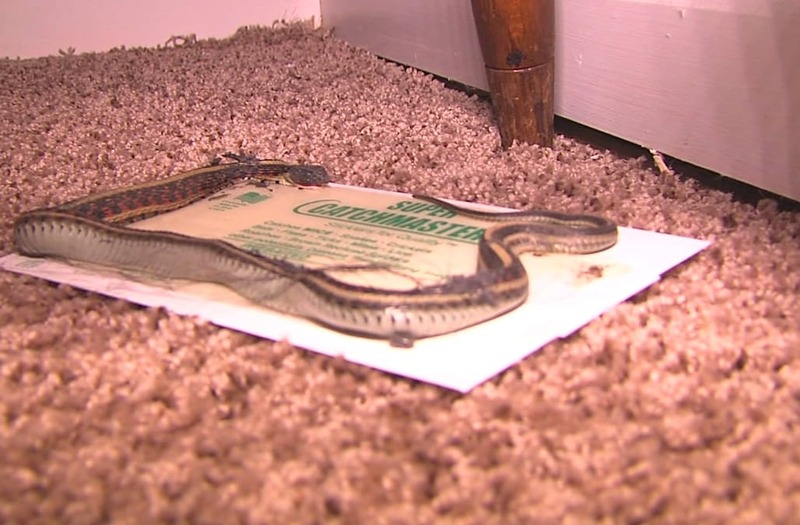 (WDAF) -- A Kansas City woman says she's being cheated out of her lease deposit money, and she has to leave her home because its being overrun with snakes. The mother of two says she doesn't have the money to move elsewhere without her deposit. Safety and security are number one for Tonya Bell, just like they are for every mom. That's why she says her current housing condition is unacceptable. "It is scary! We can't sleep. Every time I hear a noise in the wall, because I know they're there. They're in the walls. It is just creepy, "said Bell. She took FOX 4 into her daughter's bedroom for a closer look at what's kept her up at night. There was a snake on a sticky mouse trap. A Kansas City woman says her family's rented home is overrun with snakes but she doesn't have the money to move elsewhere without her deposit. She signed a two-year lease last June, but after several attempts to get rid of the snakes, the owner of the home, and Kansas City Housing Authority, agreed to let Bell out of her lease. However, her relief turned to frustration when she learned she wouldn't be getting the $500 of the $600 that she paid for her deposit. "Why? What did I do as a tenant?" said Bell. Her lease states that deposit money would be held only to cover damages if she incurred any. FOX 4 didn't find any portion of the contract saying Bell would forfeit the money for other reasons. Bell has found another home to move into, but says she can't afford it without her deposit money. "I'm living paycheck to paycheck. I really need that money. It was hard for me to even get up all the money to give to them," said Bell.